The other day Angela and I were discussing what we would like to accomplish in 2019 through Cerulean Orchid. As with most goal setting endeavors we came up with many lofty ideas, but what made us the most excited was the idea of bringing more happiness into this world. Still sounds a little heroic, right? We’re not tackling world peace here, but we are planning to cultivate moments of happiness through stitching, creativity, and community. We dream of creating a space for celebrating crocheters and knitters alike, and most importantly we want to bring some positivity into your stitching - that sacred time you gift yourself throughout the year. 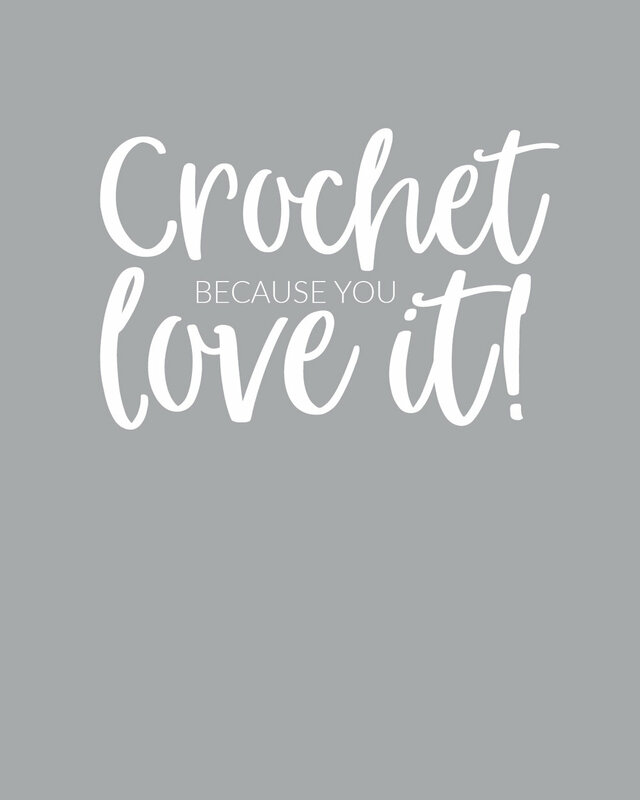 The first thing we’d like to do is encourage you to crochet or knit for the sake of the happiness it adds to your life. Create something for the sheer joy of it this year! Start that pattern you’ve always wanted to make. Don’t get bogged down in the requests from others, but follow all of your stitching whims, follow your curiosity, and dare to try something new! Indulge in your creativity and your love of making. You can find us online and we hope you will stop by and chat with us to share your projects and your story! Soon you will also find us on Patreon and we cannot wait to see you there! We start today. Today we’d like to help you kick-start your year of stitching happiness! Feel free to download, print, and hang these 8x10 quotes in the space you most enjoy stitching.